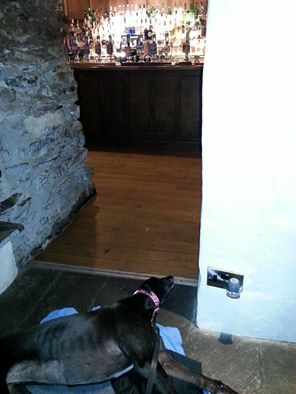 Smithy arrived on Monday 8th December 2014. 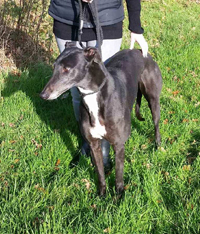 Went to her new home on Monday 29th December 2014. 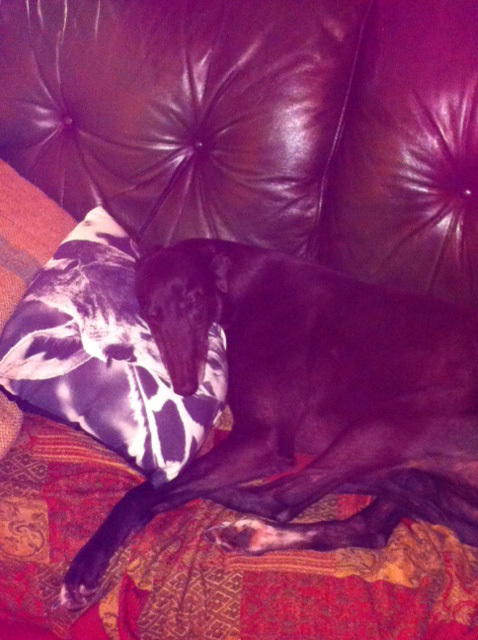 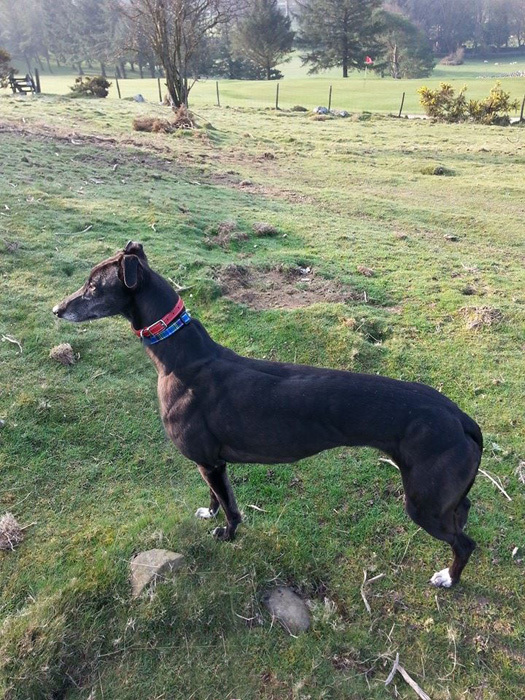 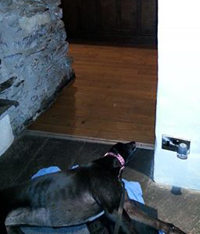 Smithy is a black female ex-racing greyhound who was born in April 2010 and weighs 30.9k. 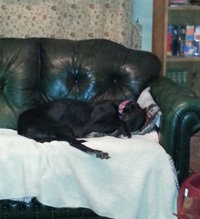 Smithy is house trained, spayed, inocuated and microchipped. She is a quiet, loving dog with a lovely nature, taking to living in a house like a 'duck to water'. 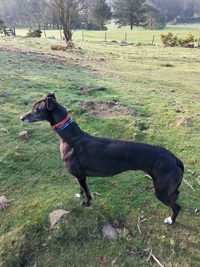 She is alright with other breeds of dogs, walks nicely on the lead and travels well in the car. We heard today that Jennie got her passport yesterday so she's off to Spain shortly.